The article, “Programmers: Stop Calling Yourselves Engineers,” says, “When it comes to skyscrapers and bridges and power plants and elevators and the like, engineering has been, and will continue to be, managed partly by professional standards, and partly by regulation around the expertise and duties of engineers. But fifty years’ worth of attempts to turn software development into a legitimate engineering practice have failed. In addition to Tipton’s letter, state licensing boards in Delaware, Mississippi, Texas, and Utah also notified Novell of their concerns. In Canada, where the terms “professional engineer” and “engineer” are protected, the Professional Engineers of Ontario entered negotiations with Novell Canada about the use of “engineer.” Later, in 1999, PEO announced that it would begin licensing software engineers. Microsoft was also challenged for misusing “engineer.” In 2001, the Canadian Council of Professional Engineers (now Engineers Canada), announced that Microsoft had agreed to stop using the term in its certification programs. 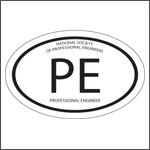 In the US, NSPE has played a lead role in developing the licensing of software engineers. As a member of the Software Engineering Consortium, NSPE partnered with IEEE-USA (the lead technical society), the IEEE Computer Society, and the Texas Board of Professional Engineers to develop the licensing exam. As TBPE Executive Director Lance Kinney, P.E., said, "Individuals performing software engineering never realized a need for [licensing] and didn't see a route for it. They were able to say, 'This doesn't apply to me,' Now it can apply to them. They have a real path now." As with any technical discipline, there are programmers whose work is just a commodity, and others whose work is critical to the protection of the public welfare. Just read up on the Therac-25 radiation therapy machine to understand even the earliest need for licensure. It's good there is a path forward now. I, for one, would welcome programmers as engineers IF that meant they and their places of employment would be held to the same standards and socio-economic responsibilities and liabilities as those of us who currently posess the title of Professional Engineer. For example, it would be singularly rewarding to sue the pants off of Microsoft and sanction any associated licensed programmers for Windows 8. Wednesday, November 18, 2015 5:35 PM by Ken Ferry, P.E. I can't dispute the need to require engineers in the computer world to be held to the same standards as other licensed engineers. However, as with any techical pursuits and their resulting products offered for sale, regulations lead to a complacency of the individual buyers' responsibilities to be aware of what they are buying. "Let the buyer beware" still applies no matter how tightly any professional pursuit is regulated, and if we eventually forget it we'll end up living in a police state. Monday, December 07, 2015 9:29 AM by Kurt Leininger, P.E. The employee may be happy to use designation of Software Developer but it is the employer and in many cases a name recognized leader in the world who asigns the job title of an Engineer. I think it would be great for Software Engineering to actually communicate something. It should reflect someone that has proven their ability and their committment to safety and quality. Programming is sort of a wild wild west. Anyone who can program can rise in ranks. Programmers end up playing many roles you might think should belong in a Software Engineer's scope, or an architecht. I think when its appropriate for a project, there should be a distinguishing role for a Software Engineer to guide the project toward safety, quality, etc. The programmers can then do their thing under guidance. We are at the point right now though that it will be incredibly hard to straighten things out. The low cost of entry for a programmer and the ability to fairly easily deliver useful software that people want makes this even harder. How do we try and tame this? How do we convince companies to stop using the title Software Engineer? Maybe the idea is to not change the title (might be too late for this), but just push the license and let the effectiveness of having a licensed Software Engineer guiding a project lead the industry in the right direction. I recently took a class at Penn State, which was lead by Phillip LaPlante. LaPlante is very smart, talented, and is playing an important role in our Industry. There are many ideas of his that I disagree with, though. In this article about licensing software engineers, http://theinstitute.ieee.org/career-and-education/career-guidance/licens..., LaPlante talks about licensing not affecting many Software Engineers. This sounds like he is suggesting Licensing is only needed for the very few at the top. I might be misunderstanding this, and LaPlante might be saying this as well, but to me, licensing would be valuable even for team leads of smaller teams.